The 6th Earl of Carnarvon, my husband’s grandfather, never had a house in London: he simply stayed at The Ritz. Built during the reign of Edward VII on the corner of Piccadilly, it emulated the classical French architecture, including the front arcades which echo those on the Rue de Rivoli in Paris. 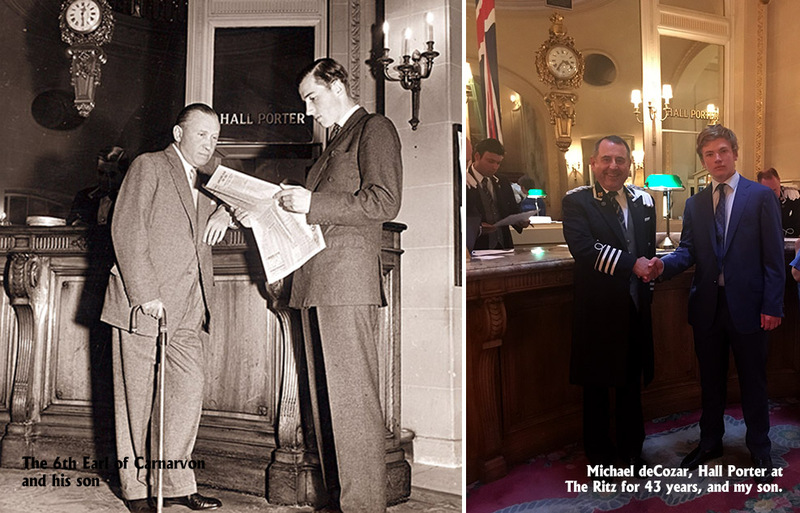 Both high society and the press enjoyed the opening party and it became hugely successful.This was in part due to a simple dearth of hotel space in London at the time – visitors were even using converted offices – but mostly because of the exemplary service it offered. High society and Hollywood streamed through its doors and so a legend was born. I have always thought the Dining Room in the Ritz is the most beautiful in London (the top photograph here). 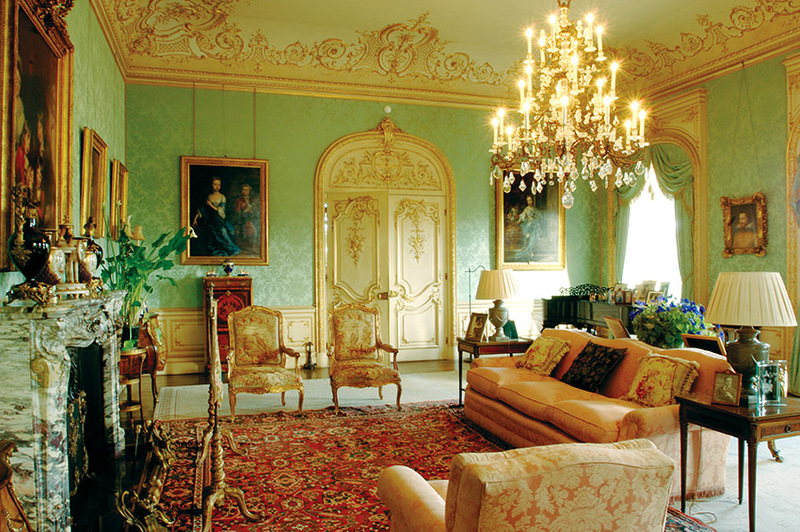 The interior is inspired by the French Ancien Regime just as is the sumptuous green Drawing Room here at Highclere (below) and it is a treat both to lunch overlooking Green Park or to dine in the dimmed romance of the evening. Fans of Downton Abbey know that one of the later scenes was filmed there when Edith finally found happiness sitting at a table in the middle of the gilded room. The 6th Earl and Countess of Carnarvon would fill the second floor with their friends which worked very well when the owner of the hotel was a chum and less well after it was sold on in 1937. Lord Carnarvon then found, to his distress, that he had to pay although he was ever the street trader and negotiated a deal. Many of the people staying at the Ritz also came down for weekend parties at Highclere – Lady Diana Cooper and Alfred Duff Cooper, the Aga Khan, Prince George, Hollywood actresses and producers. It was a fun world. Over time, however, the 6th Earl’s rooms became smaller and higher up in the hotel as funds ran lower. Notwithstanding these circumstances, whenever dining, the Earl always sat at table number 1 by the window. It was therefore a tremendous honour that, when I took my son for the first time to lunch at the Ritz after one set of his exams, we were kindly given the same table. The food was utterly delicious and we were treated to a tour of the kitchens and to meet John Wright, the chef. Far more extensive than our own kitchens, they were fascinating. For all that the Castle kitchens have been in the same place, facing north, for hundreds of years, they are equally full of modern catering equipment although on a far smaller scale. Thus, the Downton Abbey kitchens were filmed on a set at Ealing Studios in order to look historically accurate. As a result of Highclere’s long association with The Ritz, I therefore thought that it would be the perfect venue for the launch party of my latest book “At Home at Highclere”. After all, one of the chapters begins when the Carnarvons leave the Ritz Hotel one evening in their Rolls Royce to go to a dance at Buckingham Palace and, as the 6th Earl said: “The Ritz has been my London home for over fifty years. I’m very fond of the place. Nobody knows it better”. He did have the greatest fun and so, I hope will we. I’m sure lots of people have misconceptions about modern aristocrats when they meet you in public. Question: Are many of the people you meet in public surprised aristocrats don’t live lives like Donald J. Trump or Bill Gates? That is the stereotypical vision of the aristocratic lifestyle. Zach, Just clarify something you wrote: Donald Trump and Bill Gates are definitely not “aristocrats”! They’re merely very wealthy. Neither one, nor most of the other billionaires in the US, are aristocrats, and their lifestyles are certainly not aristocratic. Especially Trump’s! Dear Elizabeth, I gather that “Zach” is well aware that neither Trump nor Gates is an aristocrat. He was asking if many of the folks Lady Carnarvon meets assume that all aristocrats live the lives of gilded plutocrats. The fact remains that most Americans (certainly, most Americans) simply assume that all aristocrats are fabulously wealthy (just as none of the fans of Downton Abbey ever seem to wonder how all those mountains of food got produced, at least three times per day, by one cook and one rather small assistant. One friend of mine asked “So, what’s the deal? Does the lawn get mowed only at night?…….you never seen anyone working outside at Downton Abbey”. I enjoy working and I think I have a role and obligation to look after an extraordinary house and landscape, which need to resonate and have meaning in today’s lifestyle. 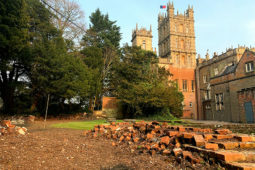 It is finding a way to contribute to others and for all the glamour, the “wealth of history” Highclere is far apart from accumulation of money. What I have is not mine but I fight to preserve it and it does make me think of lessons from the Bible which remind us that what we have is not ours but is God’s. Aren’t the food photos amazing? David Griffen took them and we had a lot of fun and we were on a roll. A charming glimpse into a glamorous and special time. A charming glimpse into a glamorous and exciting time. June 20th in North America! I love history tidbits on all levels, this narrative gives a fascinating insight to a gilded past, as in many eras. The photos add so much to the narration, one can feel the atmosphere of that time. I’m particularly drawn to that era – so many new ideas, new music, architectural and painting styles, air travel, archaeological and expedition discoveries, the list goes on. I think your book is going to be a fascinating read and can’t wait to get a copy! There are some very interesting architectural drawings – ones by Sir Charles Barry.. When you have the time (and, yes, my impression is that having a lot of things usually means, these days, that the one thing one doesn’t have is superfluous leisure)?…….you’d probably enjoy Amor Towles’s most recent novel: “A Gentleman in Moscow”. It’s about a man who actually DID live for fifty years in The Metropole….Moscow’s equivalent of The Ritz. The 30 year-old protagonist, Count Alexander Rostov, is sentenced to house-arrest as an “unrepentant aristocrat” in 1922…….and he spends the next 4 or 5 decades without ever stepping foot outside of that grandest of Russian hotels. Essentially, “Eloise at The Plaza” meets “Robinson Crusoe” meets “Dr. Zhivago”….only set in communist Russia and featuring a very erudite and witty, adult aristocrat. It’s a serious book, but also very deeply funny at times. I’m so glad to have stumbled across your blog. When we were in London we were with friends. I so wanted to have high tea at the Ritz, but my friend had read that the Brown was the preferred place for high tea, so the Brown it was. We had a lovely afternoon, but I still long for tea at the Ritz Thank you for highlighting this beautiful place…maybe someday. You chose right !!! Brown does have the edge for afternoon tea !! For me it’s still the best meal of the day. I think you just need to try a few places out for tea!! Such an interesting story about the 6th Earl and the Ritz. There is a tale in our family that my mother was at the Ritz the same time as the 6th Earl and that my feisty mother was chasing an individual down the stairs shouting “Stop thief!”. Whether the thief was caught or how my mother even knew he was a thief we shall never know – but it makes a good family story. Perhaps that scene is the start of a story?!! I so enjoy you’re writing. The pictures of the past and present are a wonderful adventure into the life of the Earls of Carnarvon and Highclere Castle. I can’t wait for your book to come out in June. I agree with you 100% Lady Carnarvon. 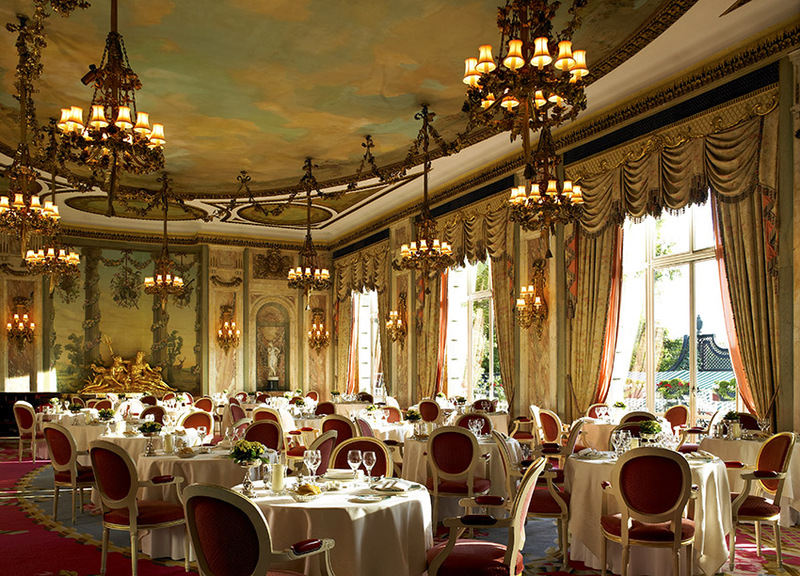 The Ritz London is by far one of the great Grand Dames in Dining still with us. My husband and I enjoyed our time there, during our two year stay in London, dining occassionallly in the great room you write of and most especially during one of the Friday Dance Nights with big bands sounds of a small orchestra and exquisite dancers on the floor. What a wonderful history you have uncovered and documented for all the world to enjoy. I so look forward to your book becoming available in the States after June 20. Your son, as handsome as he is, has a look on his face that our sons often had when I took them around to “such fancy places” and asked them to pose for my memory books! 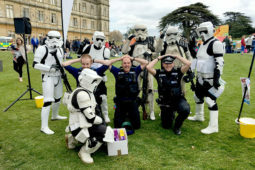 All the best to you and your efforts to keep Highclere alive and well for generations to come. Love your blogs, best regards and continued good research! What a joy!!!! Your new book arrived at my home yesterday – just in time for my birthday celebration! I pre-ordered it through Amazon, and am sooo happy that I did. We have a lot of snow and cold wind right now in Boston, MA, USA and this beautiful book, with a glass of wine and a lighted fire will be just the thing to usher in the week-end. Having attended your Edwardian Garden Party this past September, and having had a brief conversation with you on that day, this book is a wonderful memoir of your stellar home and the life you and your husband’s family have led for many, many years. It was a privilege to have met you and visited your home, and I know that this book will serve as a brilliant reminder every time I try to replicate the recipes and ideas that it shares with the rest of us. Bravo to you for the wonderful research and increased awareness of an elegant life-style that you are providing to us all! Keep up the great work, and please come to Boston for a visit!!!! I would love to come to Boston – I am trying to work on it with my speaking agents in the USA. Just love it – Can’t wait to read your new book! I find myself fascinated by the likeness of the Ritz Hotel, to the castles of aristocratic families whose fortunes were dwindling. I wonder if the likeness was no coincidence, but instead, a clever alternative for those who could no longer afford the castle, but couldn’t stand to live any other way. Often, while watching Downton Abbey, I am struck by the design of Highclere Castle, and how hotels from the Edwardian era seem to emulate it. And, was the “dearth of hotel space in London at the time” amplified by the loss of family fortunes and, along with it, the dwindling of big houses, where high society visitors to London would likely have been guests otherwise, prior to the rapidly changing landscape of Aristocratic lifestyle of the era? I wonder. On another note, I recently watched a rerun episode of Jeopardy (in the States), and you may be tickled to know that the Final Jeopardy category was, “20th Century English Nobility”, and the clue was, “In Africa on Nov. 26, 1922, he anxiously asked Howard Carter, ‘Can you see anything?’” My jaw dropped when no contestant knew that it was Lord Carnarvon! (Sigh!) It is super tough to be an anglophile stuck in the United States! I think London was becoming financial and mercantile hub in that time period and thus needed hotels. On the other hand you are right agricultural incomes and old estates were less viable and assets – London houses – sold. Gad you would have got the answer right!! Thank you for your glimpse into a bygone time where life was much more simple gentile time. I have walked past the Ritz 4-5 times on trips to London. I have often wondered what stories these walls could tell. The stories of the 6th Earl are a part of the history of The United Kingdom and the history of that time. TheDeath of QueenVictoria , the start of the era of Edward V11 , the sinking of the Titanic, the start of World War 1. The advent of the Duff Gordon’s and their group. Also was the advent of aviation and the fall of Europes monarchies . The time changed the world and the aditutes of people…,much the way computers have changed our world. My son is a High School teacher. They no longer teach cursive writing. Children don’t play outside as much.. I cannot believe your last sentence. I think the potential loss of cursive writing is disheartening and worrying – it is the flow of words, etymology and the knowledge of spelling. I think I would be volunteering to run writing classes!!! The dining room in that particular Ritz Hotel reminds me of dining rooms where I’ve enjoyed lovely dinners in France – very beautiful and ornate. More interesting history about the Gilded Age abroad. I love that era when there were many world changes happening after the dreadful sinking of the Titanic and not many years later, World War I, which so affected the British Isles and especially London. Thank you for sharing the wonderful photographs of that era. Fascinating! What a wonderful venue for entertaining or having an elegant lunch. Thank you so much, Lady Carnarvon for sharing your life and history of Highclere Castle and the people in your family, especially the 6th Earl and your handsome young son. 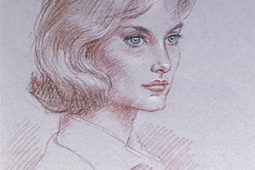 We are honored to have your views and are learning so much about your family history and the beautiful Highclere. I do hope Spring will arrive there in good time, and I love the Easter Egg hunt and the children’s activities. So kind of you and your husband to provide this entertainment for the families who will visit! Easter Blessings! Thank you – next week week I am planning the Easter Egg route with Sarah and Lauren – it is in aid of a good cause – a children’s hospice. It’s such a pity that hotels today aren’t built with the same elegance and style. I have been lucky enough to have stayed in the hotel, but I was put in my place when told at breakfast I had to go back to my room and put a tie on !!! Funny how things like that still stay in my mind 40 years later. What a most interesting connection your family has with the Ritz Hotel. It is wonderful that your son and you were assigned Table 1 and it undoubtedly will be something very special for you and all who are fortunate enough to attend your book launch to have that important occasion to take place there. I read above that a fellow blogger, Ms Larson from Boston, received her copy of your book on St Patrick’s Day. As I also pre-ordered through Amazon, I assume that my copy has been dispatched by the good people at Amazon and it should arrive soon, noting that the antipodes are a considerable distance further from Highclere that is Boston. Best wishes and every success with the launch of your new book. I hope that everything goes reallly well and that you have a very special and memorable time. Maybe the launch itself may add yet another “chapter” to the history between the famous Ritz Hotel and the also famous and fabulous Carnarvon family. Thank you so much for bringing everything you see and ‘live’ to life for the reader. You definitely are blessed with the special gift of literary ‘gab’, and that’s a wonderful thing! I bet you could even write an American Western and make it mesmerizing. History is, of course, a subject all it’s own, but you have a wonderful way of holding our attention and describing the details with beautiful color. Thank you for placing us in the midst of this era of elegance and beauty. 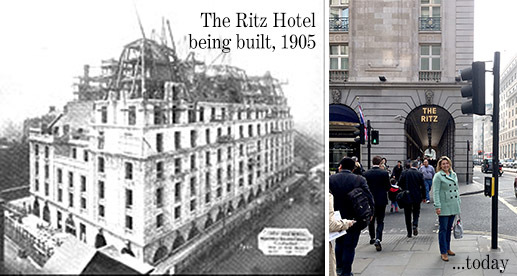 The Ritz is truly more than just a historic landmark. It is simply – Beautiful! You, my dear, fit into this ‘picture’ with ease and grace. By the way, what a handsome young man you have! This was a wonderful blog, and I thank you for the opportunity to be privy to the beauty that is “The Ritz”. Both my maternal and paternal grandparents or great grandparents immigrated to the United States from various places in the UK. I’m hoping to make my first trip to the UK this Autumn and I very much look forward to visiting Highclere, especially since I’m a huge Downton fan! Also looking forward to your book! I enjoy you because of all your valuable hard work on this web page. My mother enjoys getting into research and it is easy to see why. new year. You are always conducting a remarkable job. I too, am anxious for June 20th to arrive so I can order your book. 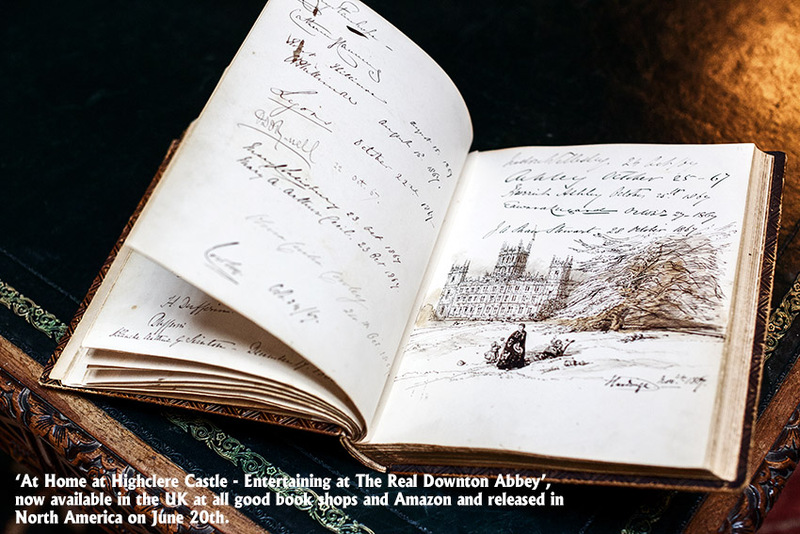 We are headed to England for the fifth time in June but have not yet been able to secure a reservation to come visit and thus, I see Highclere through your blogs. I am also from Boston and would love to know if and when you come over to give a speech. I will find a way to be in the front row! Your blogs are always the highlight of going through my email! Thank you.